Enjoy hiking? 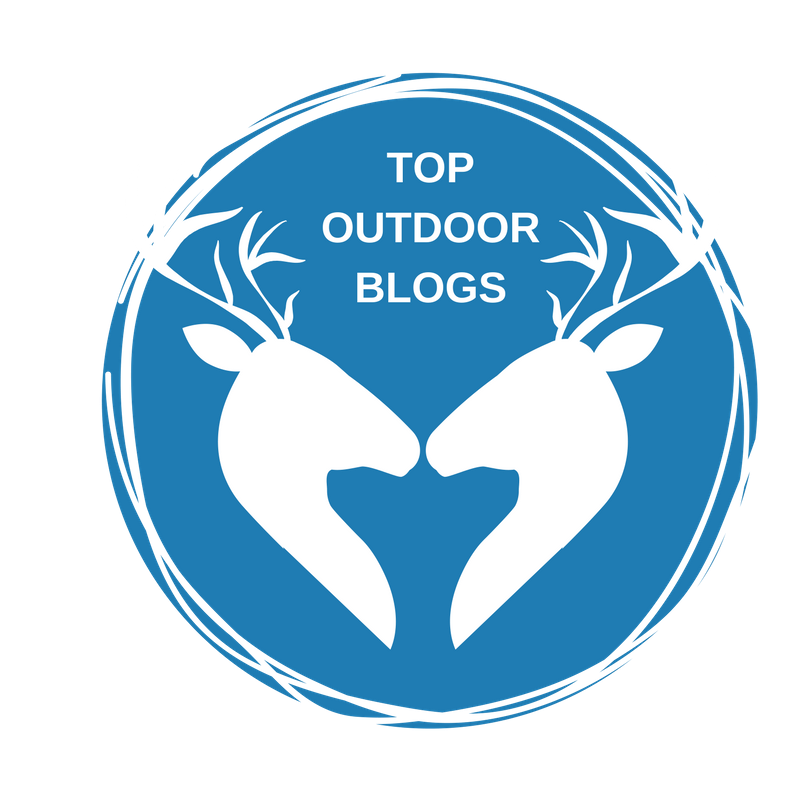 Want to get your child into the wilderness and up a peak? Love New Hampshire, or any other forested state? Do you enjoy reading beautifully worded adventure stories? Want to experience 52 of New Hampshire's mountains from the comfort of your own home? 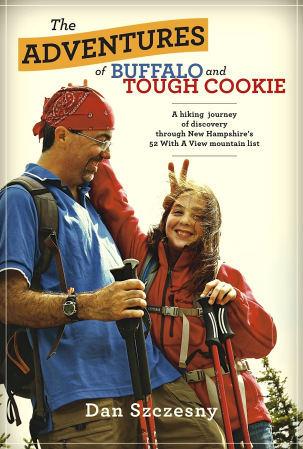 If you answered yes to any of the above questions, then I've got great news for you -- a friend of mine and fellow hiker, Dan Szczesny, is celebrating the release of his first book, The Adventures of Buffalo and Tough Cookie. Today's the official launch -- you can buy the memoir here (Amazon) or here (Bondcliff Books). In his book, Dan chronicles the adventures of then-9-year-old Janelle as she summits all 52 mountains on New Hampshire's 52 With a View list. At first, the premise of this book might sound a bit like my memoir, Up: A Mother and Daughter's Peakbagging Adventure...and yes, there are a few obvious similarities. A young female protagonist tackles a list of mountains with an adult in tow, the adult and child learn more about themselves as they hike, and all the peaks are located in the state of New Hampshire. If you enjoyed those aspects of Up, then you'll love The Adventures of Buffalo and Tough Cookie. That being said, this memoir has huge differences that set it apart not only from my book, but from any other published adventure story. For example, Dan is not Janelle's father. Dan and his wife, Meena, met Janelle and her twin brother, Aaron, just a couple of years ago. Janelle and Aaron lived with their grandparents in the same apartment building as Dan and Meena; the two families never planned to meet, let alone become entwined in each other's lives....but wait, I'm giving away the story...it's all there, beautifully written and 100% true, in Dan's book. You should read the details in Mr. Szczesny's own words. Since Dan and Janelle have not known each other for a long period of time, and since Dan is not a blood relation, there are no traditional family bonds in place when the two begin hiking. Their adventures begin when Dan includes Janelle and her brother Aaron on a trip up the small and family-friendly Bald Mountain; the trip is a gesture of neighborly goodwill, nothing more, nothing less. Janelle enjoys the short climb and asks Dan if he'll take her on other hikes. Dan thinks why not, Janelle's grandmother grants permission, and, after climbing a few of the smaller 52 With a View mountains, Janelle announces she wants to ascend all 52 of the list's peaks. Those mountains are scattered all over New Hampshire, some of them are just as tough as any of the Four-Thousand-Footers, and, unlike me and my daughters, both Dan and Janelle have inflexible Monday-Friday schedules. Also, again, Dan is not Janelle's dad...there's no established parent-child trust, there's no traditional paternal authority...heck, there's no parenting experience on Dan's part whatsoever. He and Meena don't have kids of their own. Many -- most(?) -- adults would react to Janelle's statement with excuses. There's not enough time, you're not experienced enough, we don't really know each other, I'm too busy, etc. Dan does none of that. Instead of shying away from what many grown-ups would consider an overly-ambitious goal, Dan assumes the positive and steps up to the challenge. This is why I'm proud to call Dan a friend. He doesn't assume the goal is too much for young and then-inexperienced Janelle. He doesn't shy away from the prospect of hiking week after week with a child he barely knows. He sees an ambitious girl who likes to hike and he meets that girl where she's at. He puts his trust in Janelle's potential and he commits himself to facilitating her success. All this background information is contained within the introduction of the book. Do yourself a favor and read that introduction. It's as well written as the chapters that follow, and it sets the stage for the personal and physical journeys Buffalo (Dan) and Tough Cookie (Janelle) undertake. The memoir's 42 short chapters chronicle the hikers' adventures as they make their way up and over the 52 listed peaks. Though the chapters are brief, they're chock-full of descriptive details. The reader gets an excellent sense of the trails, the mountains, the regional history, the wildlife...I didn't think it was possible to go hiking without actually going hiking, but now I feel as though I've completed the 52 With a View myself (I haven't set foot on half those mountains). Scattered throughout the chapters is the occasional and (usually) subtle commentary on controversial issues such as logging, off-leash dogs, naysaying adults, and mining. Note that the commentary is just that -- commentary. The tone is never preachy or off-putting, and it's always presented as a natural part of the hike (Janelle's reaction to seeing cut trees, for example). Such sentences deepen the overall text; Szczesny's paragraphs are so much more than a here's-our-hike summary. Janelle's growth is a joy to follow. She's a completely inexperienced city-girl when she begins her quest, yet she forges ahead, determined to learn what she needs to know, and soon she's confidently hiking through rain, snow, heat, and everything else the elements can throw at her. She has setbacks, as all hikers do, but she learns how to deal with them. She's an inspiration to young ladies everywhere. Dan is the author and therefore the voice of this quest -- we see Janelle's growth through his eyes. Dan's perspective teaches us a lot about Dan himself...as the weeks and months go by, the author learns how to walk the fine line between guiding and smothering a child. That's not an easy line to figure out -- my children are quick to tell me when I've crossed it, which is apparently far too often -- but Dan learns how to walk it well. The adult manages to protect and mentor the child while still allowing enough freedom for the stretching of wings. This is emphatically not an easy thing to do, as every parent knows. Parent. I've made a point of explaining that Dan is not Janelle's parent...but then again, that's not exactly true, is it? What is a parent, anyway? Is it someone who's been there since the child's birth? Sometimes, sure, but not necessarily. A parent is someone who is there for a child, he's someone who guides her with love and protects her from harm. A parent is a source of a child's emotional stability and strength, he's someone who makes a lifelong commitment toward a child's good health and positive future. A parent is someone who sacrifices his own time and comfort to facilitate a child's success. Dan didn't start as Janelle's parent, but I'd argue he became a true father to her over the course of their hiking adventures. This makes The Adventures of Buffalo and Tough Cookie a perfect Father's Day book -- this memoir will make you contemplate the deeper meaning of family. Hikers, kids, and outdoor-lovers will also enjoy this book (it's child-friendly). Those of us still pursuing the 52 With a View list will appreciate the mountain-specific trail information and driving instructions included at the end of each chapter. It should be obvious that I'm a fan of this book -- it's an enjoyable read, it's beautifully-written, and it features two of the most remarkable people I've ever met. There's nothing not to like about this memoir. Folks in the Concord, NH area can meet Dan and Janelle in person tonight at Gibson's Bookstore (27 S. Main Street). The launch party starts at 7pm. Signed books will be available for purchase. Gee, thanks Trish for making me cry at work! Trish, I can't thank you enough for this kind review and warm words. Wow! Thank you as well for being an inspiration to us. Can't wait to hike with you this summer! Whoa, i've read a bunch of their trip reports and never knew Dan wasn't her dad. That is a cool friend and mentor to have. ParaVival Paracord Survival Bracelet -- WINNER!